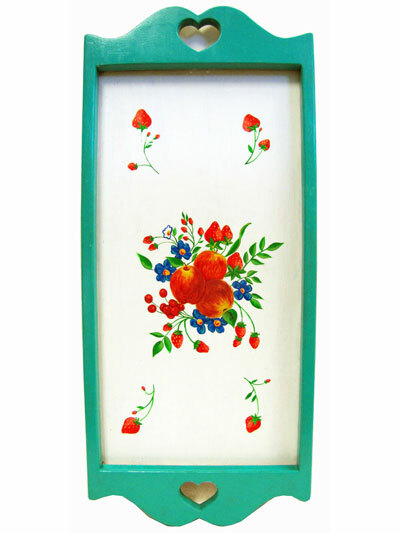 This wall hanging or tray features a brightly colored motif in the center that includes apples, strawberries, cherries and flowers and is surrounded by a seafoam green wood frame. This unique piece of artwork was hand painted by Marj Serr and is one-of-a-kind. The height of the board is 30" and the width is 13".